Ethan has his own issues – Sammy's presence in his childhood home brings with it painful recollections of family scandals and a bad boy youth. When the gossip around them heightens, his life is suddenly a deck of cards spread on the table for all to see. Then Sammy's past catches up with her... and it looks like all bets are off. Born and brought up in Wales, Jennie Jones loved anything with a romantic element from an early age. At eighteen, she went to drama school in London then spent a number of years performing in British theatres, becoming someone else two hours, eight performances a week. Jennie wrote her first romance story at the age of twenty five whilst 'resting' (a theatrical term for 'out of work'). She wrote a western! But nobody wanted it. Before she got discouraged a musical theatre job came up and Jennie put writing to one side. She now lives in Western Australia, a five minute walk to the beach that she loves to look at but hardly ever goes to - too much sand. Jennie returned to writing four years ago. She says writing keeps her artistic nature dancing and her imagination bubbling. Like acting, she can't envisage a day when it will ever get boring. 5.0 out of 5 starsEnchantment and Igniting Passion. How many of you Ozzies know that dreamy television vet, Chris Brown (Bondi Vet) ?? Ethan is a gorgeous, tall, well muscled and all man! He is also the local vet who falls head over heels for a stranger who is new to his country town. She doesn't know what she is in for, and if he thinks the going will be easy, he's in for some shocks of his own. For any us who have experienced true love, then the old saying, "true love never runs smoothly" is realised in the pages of this story. Humans are strange creatures. We often know what we want and yet, beat around the bush always trying to get it right and yet, somehow managing to mess things up. Ethan and Sammy are no different and at times I wanted to yell at them to get on with it, because both were smouldering underneath a faÃÂ§ade. You FEEL their passion and love and the strong pull of their in-tuned hearts. I don't wish to ruin the story by giving away anything accept to say, this would make a wonderful movie not unlike Clancy of the Overflow. With the back drop of the beautiful snowy mountains in Australia (so different) it MAKES picture perfect. I bought this book without realising that it is basically Aussie-style Mills and Boon. I nearly gave it up after the first chapter, after reading the sickly sweet descriptions of the main characters and the improbable first meeting, but I had paid for the book so I didn't want to give up. It did get better. When the author focuses on progressing the story, rather than silly descriptions of glimpses of skin etc, this is not a bad story. There is way too much emphasis on physical attraction, at the expense of real emotional intimacy. The characters are believable, if a little superficial. By far the best part of the book is the author's ability to capture the Australian small town. So, in summary, not a bad storyline, but too much Mills and Boon physical descriptions and superficiality. I am a little disappointed in this book as the beginning would turn most readers off for its silliness. I was relieved that it did improve a tad, but to be honest, it reminded me of a Doris Day movie - just a bit empty! I admit that I'm a sucker for a good escapism romance every now and then. Preferably one set in the beautiful Australian Bushland where many tales are made but too often lost. I loved the setting and I thought the characters were perfect for this plot. The end did get a little dramatic and messy but I really enjoyed the description and local history woven through. I even had dreams about the house on Burra Burra Lane after it came alive with intricate details. This was a lovely, simple story - easy to read but with enough going on to keep me wanting to find out what was going to happen next. Liked the mix of dialogue and descriptions, and the easy transitions between the thoughts of the two main characters. I loved this book! A real pager turner! The suspense was built up and the conflict between the characters kept me wishing they would get over it and stop being so frustrating! All the elements of a good romance. Just not enough! So I have brought the next one and hope to meet these characters in some form here too. I absolutely loved this story. My friends were telling me about this book last year but I have only just gotten around to reading it and I don't know what took me so long. 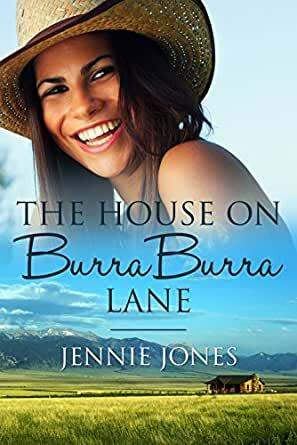 Sammy and Ethan were fantastic characters, the whole small town romance really worked in an Australian setting (something that I'm new to reading) and Jennie Jones has a writing style that's easy to read but incredibly engaging. Give it a go.